The shakes come in two flavors, Milk Chocolate and Homemade Vanilla. Since I previously drank a carb-steady shake for breakfast every day, I was happy to drink the shakes from LEVEL instead. The nutrition info on the back was impressive to me. 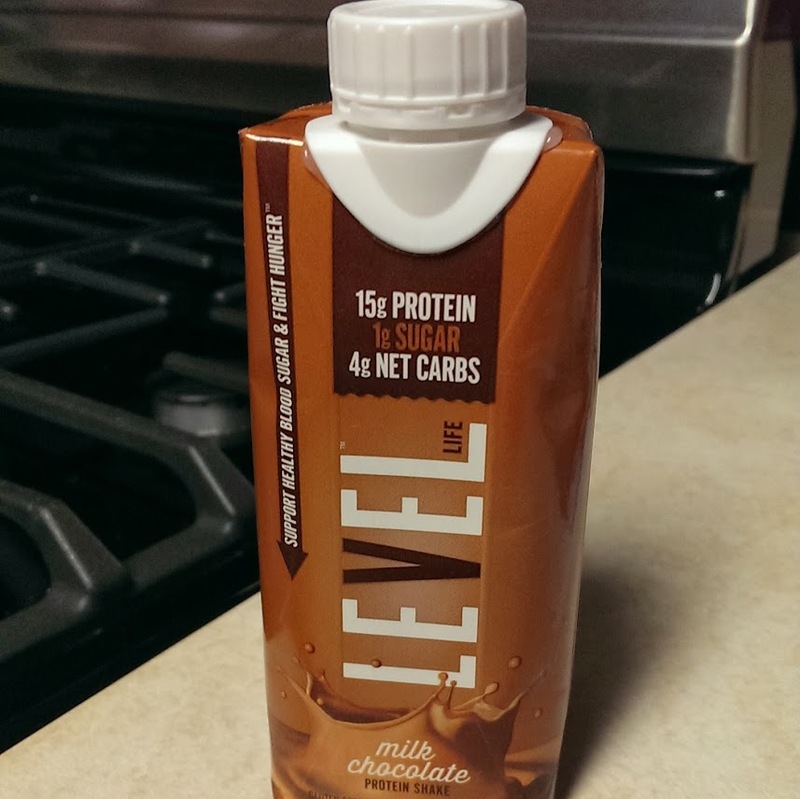 LEVEL shakes had fewer carbs, fewer calories, more protein and more volume (3oz. more) than my previous breakfasts. I started out trying the Milk Chocolate and we had a rough go of it at the beginning. It didn’t help that my pod had fail on my way out the door that morning and by the time I was trying to open my shake in the car on the way to work my day was already bad. Once I actually broke into my shake, all was well.. until I got some on my pants. Good news! In case anyone was wondering, it can be easily removed from khaki pants with the aid of a Shout wipe. The Homemade Vanilla was also good. I’d have to say though between the two flavors, I liked the chocolate the most. The protein bars also come in two flavors,Caramel Chocolate Peanut and Chocolate Peanut Crunch. The texture of these bars was the first thing I noticed, I’ve had really dense protein bars that were a little dry and crumbly, but these were a little more like chocolate-covered granola bars in texture. I kept a bar in my purse and it came in really handy when running errands took me to Target and toward a low blood sugar. I wasn’t sure if I’d like the Caramel Chocolate Peanut because I’m not a caramel fan… but I loved it! The best part about the protein products is that they not only taste good, they were kind to my blood sugar and were satisfying. I guess that was the best part for me, but the best part for you is that LEVEL is giving one of my readers a Premier Bundle Pack of bars, shakes and gels (worth $60). 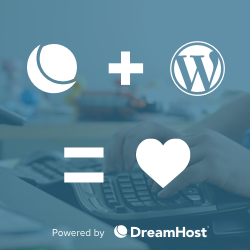 Use the Rafflecopter form below to enter. Entries into the giveaway are open through November 21st and, although LEVEL products are not available in Canada, this giveaway is open to my U.S. and Canadian readers. The winner will be notified by me through email and will have 48 hours to respond and claim their prize. Good luck and in the words of Ethan Lewis (LEVEL founder), keep moving forward! I was provided with product samples to review and a prize to give away from Level Foods, but as always opinions are my own. 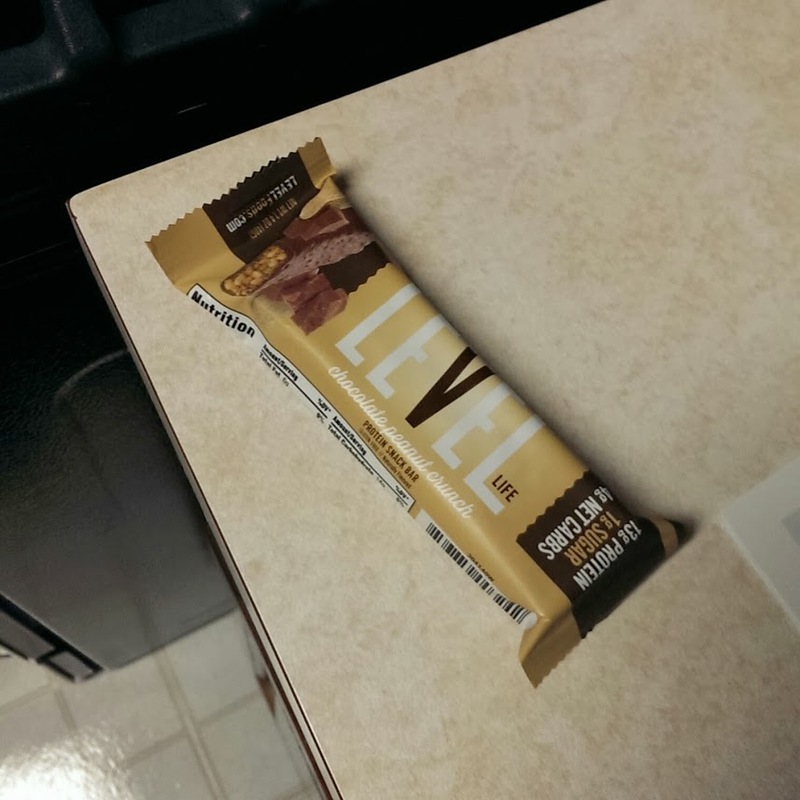 This entry was posted in Diabetes, Giveaway, Type 1 Diabetes and tagged Dblog, Diabetes, diabetic, giveaway, Level Foods, LEVEL Life, product review, protein bar, protein shake, snack, type 1, type 2, win, world diabetes day by Rachel. Bookmark the permalink. I just had (i.e. missed/forgot about) my 3 year diaversary in October. I normally drink a protein shake in the morning too, but it’s got a few more carbs than I’d like. I just ordered some because I didn’t want to wait, but I’d love to win! I’m always looking for something new to try. A protein shake for breakfast is actually beginning to sound like a really good idea. With all due respect to Ethan and the makers of Level — and I know your intentions are honorable and your motives are pure — but when I see the words “net carbs” on something marketed towards people with diabetes, my radar starts alerting to me that something’s suspicious. The true effect of “net carbs” varies from person to person, but to me it’s not much more than a marketing gimmick and it leads to unpredictability. People with diabetes need to know how many, and of what type, are carbs, they’re consuming. I don’t know if it’s fiber, sucralose, or something else that contributes to the “net” effect but educated consumers like to know the facts – not the jargon. I hope they consider a change in packaging. Scott, you make a great point that I can’t say I’ve ever really paid attention to net carbs. I completely ignore “net carbs” so much so that I just don’t notice them. I look at Total carbs and fiber, just because of how that affects me and I don’t use “their” formula for fiber either. 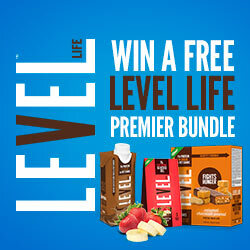 I love level gels, so these shakes & bars sound good too! I had no idea they were coming out with new products! Thanks for sharing! My better half is diabetic and my step mom. These products sound perfect for them! Alot of my family members have diabetes. My grandparents and parents both had/have diabetes. I know I’m at high risk so I work to keep heathly. Definitely a struggle. I have type II diabetes and both of my parents do as well. I hope to improve my health to reverse it, but it sure it s struggle! I have a close friend with diabetes. As a T1 PWD I’ve been wanting to try these products. I hope I win! My mom is diabetic (as were both her parents) – I’d like to win this to help encourage my mom to eat healthier, as she’s not always diligent about watching her sugar.